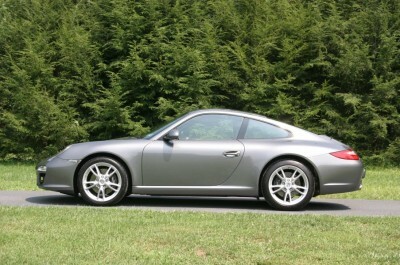 Porsche has built its fame and fortune on a single rear-engine sports car, the 911. From rather humble beginnings, the Porsche 911 has gone on to be one of the most influential and most recognizable vehicles in the world. Today’s version of the car provides stunning levels of performance without sacrificing much in terms of day-to-day usability, and many Porsche purists still consider the 911 the only “real” Porsche. And although other sports cars have been able to outperform the 911 in one area or another, nothing has yet to match Porsche’s overall blend of performance, practicality and that endearing connection between car and driver. The 2009 911S was the first year to provide 523 horses and includes a hill holder, ventilated seats, Bluetooth and an iPod interface.